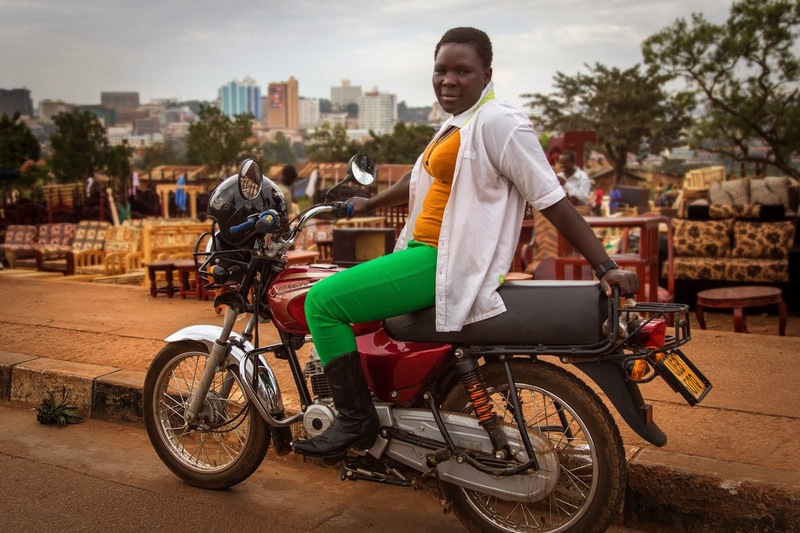 From this day on I will no longer be swinging a leg over a boda without making sure I have my good camera on me and not just my iPad. 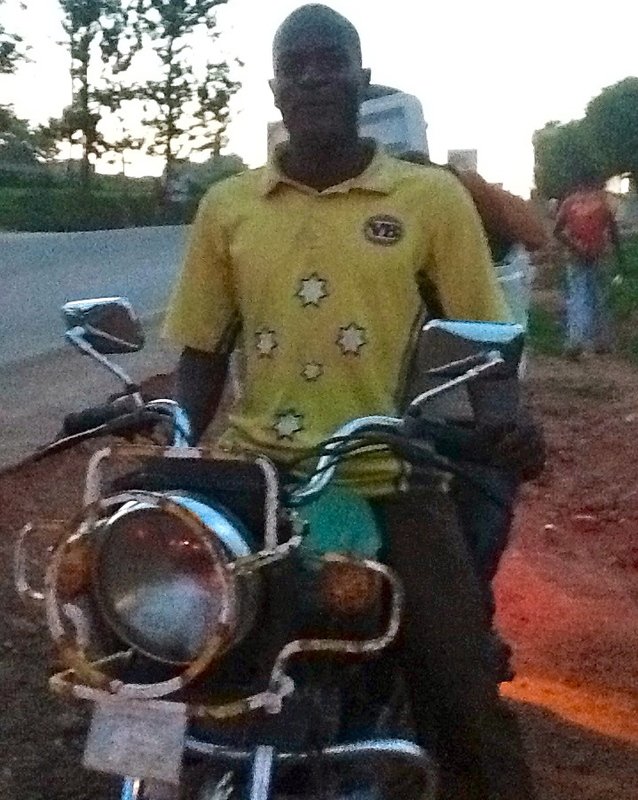 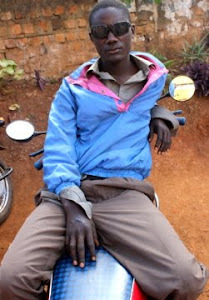 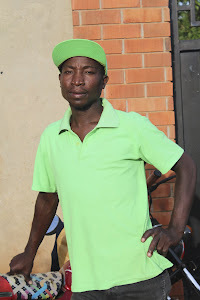 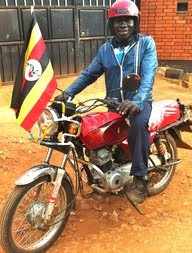 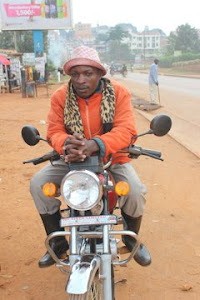 This is because just over 24 hours after spotting the Socceroos' newest ambassador in Uganda (who moonlights as a brightly colored feather duster roadside trader), I've found someone ever better on the streets of Kampala: a VB boda boy. 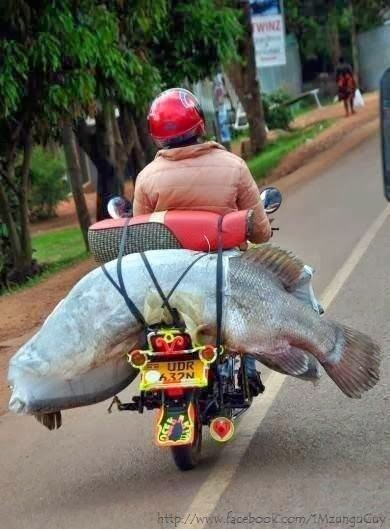 And check out what his passenger appears to be carrying. Yes, an ESKY. 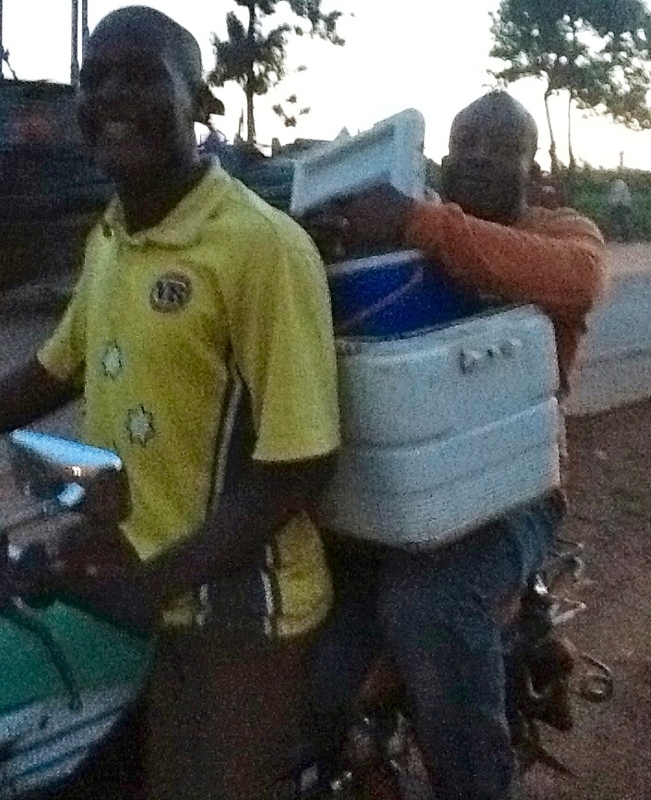 What on earth this pair were up to, I don't know, and I didn't have time to find out (perhaps this is a good thing?) 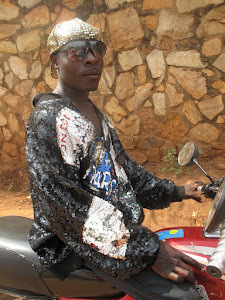 as I was rushing to get to the National Theatre for the screening of a "classic British film" (that was the only clue my friend who invited gave me. 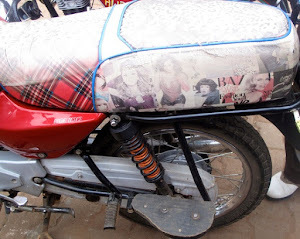 For anyone who cares, it turned out to be It's a Wonderful Life and not Spiceworld The Movie). 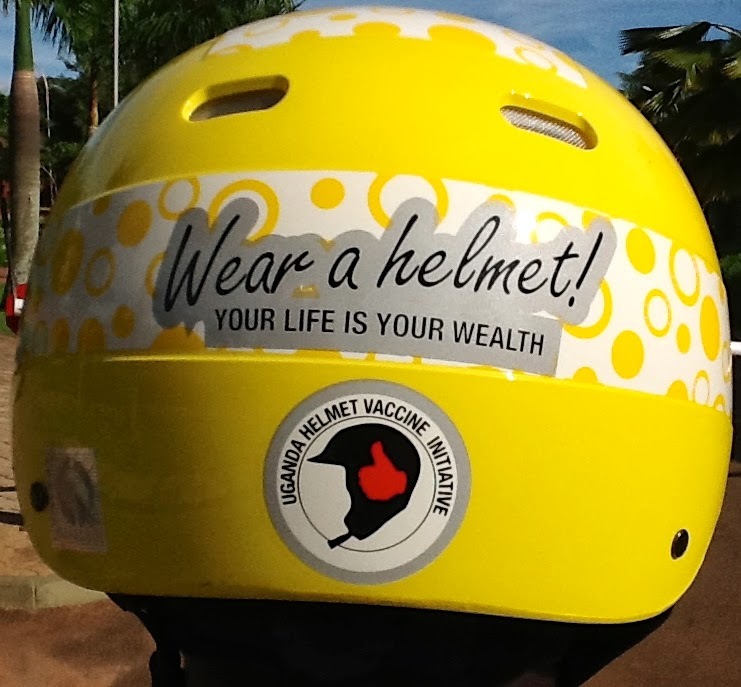 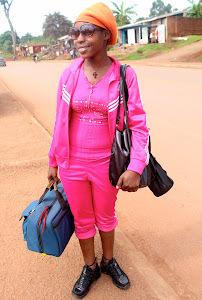 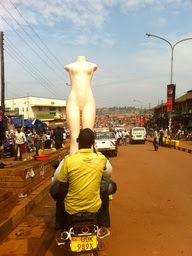 What will we see next on the streets of Kampala. 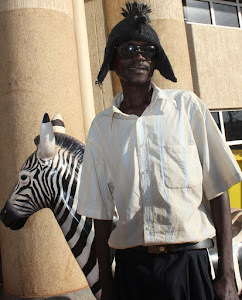 Heading up north to Gulu tomorrow. A Twitter friend Mark says he once unearthed a Western Bulldogs scarf there (he also once saw a Safeway uniform in a Malawian village), so fingers crossed. 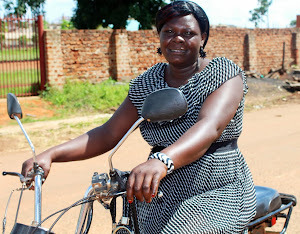 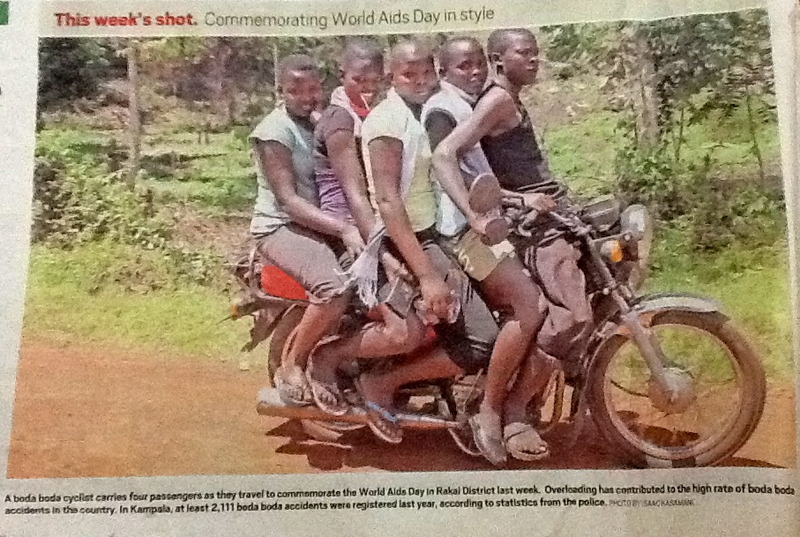 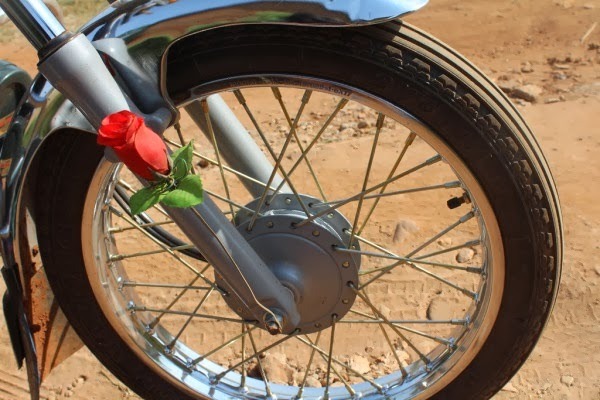 I loved this boda pic taken in Rakai District, central Uganda, which Sunday's Daily Monitor carried under the headline "Commemorating World Aids Day in style". 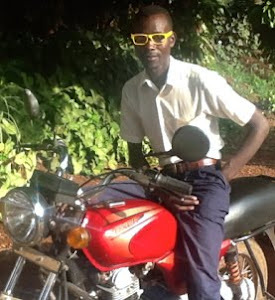 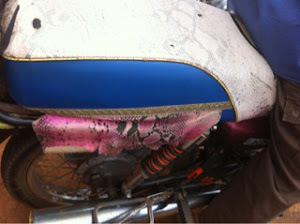 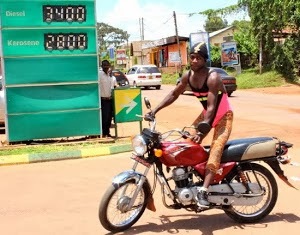 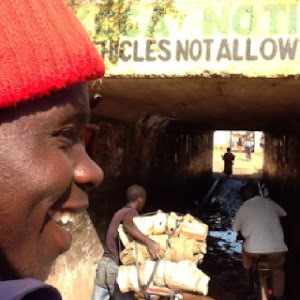 According to the caption, "overloading" bodas has led to accidents in Uganda. 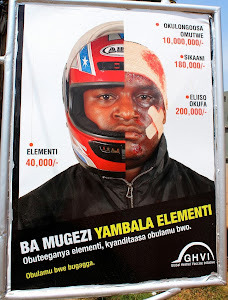 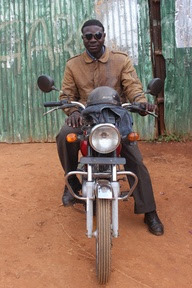 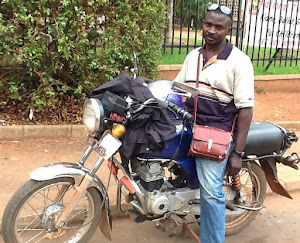 In the capital Kampala at least 2,111 boda accidents were registered last year, the police say.